Housings for Miniature Bearings. 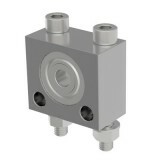 Aluminium Pillow Blocks, with fitted ball bearing, enable shafts to be positioned and retained in ball bearings without the need to accurately bore housings for the bearings in the main structure of the machine/assembly. Bearing i/d (shaft) sizes of 3mm, 4mm, 5mm, 6mm, and 8mm. Block has both vertical and horizontal mounting holes, for alternative mounting configurations. 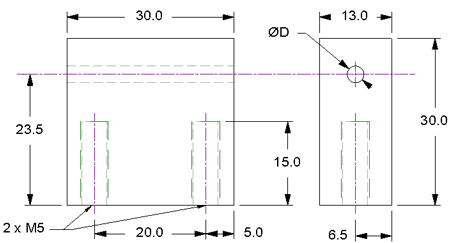 Bearing is mounted asymmetrically on vertical centre-line, to allow choice of shaft mounting heights. Pillow block bearings are supplied with zinc-plated M5 fixings for mounting via either the vertical or the horizontal mounting holes. These Mounting Blocks offer a simple, robust, neat, and cost-effective solution for mechanical devices and assemblies not requiring the ultimate precision and low rolling resistance of a pair of ball bearings. 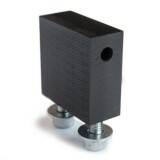 Simple robust Mounting Block to locate shafts, allowing rotational or linear motion. Made from Black Acetal, which is hard and rigid, and has low frictional resistance with no lubrication. Available for use with: 3mm, 4mm, 5mm, 6mm and 8mm shafts to h7 or h8 tolerance. Minimal mounting footprint, using two in line M5 setscrew fixings (supplied). Fully compatible with motionco's Meckit construction system, allowing direct attachment to the Meckit perforated bases, channels and plates. Aluminium Pillow Block fitted with a Miniature Ball Bearing (633ZZ) with a 3mm Bore ..
Aluminium Pillow Block fitted with a Miniature Ball Bearing (624ZZ) with a 4mm Bore ..
Aluminium Pillow Block fitted with a Miniature Ball Bearing (695ZZW5) with a 5mm Bore ..
Aluminium Pillow Block fitted with a Miniature Ball Bearing ( 626ZZ) with a 6mm Bore ..
Aluminium Pillow Block fitted with a Miniature Ball Bearing (698ZZ) with a 8mm Bore .. Mounting Block in Delrin for 3mm Shaft , with 2 x M5 in-line mounting holes at 20mm centres. .. 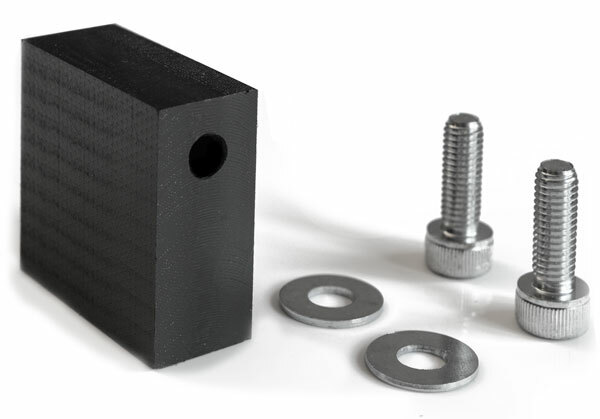 Mounting Block in Delrin for 4mm Shaft , with 2 x M5 in-line mounting holes at 20mm centres. .. 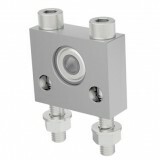 Mounting Block in Delrin for 5mm Shaft , with 2 x M5 in-line mounting holes at 20mm centres. .. Mounting Block in Delrin for 6mm Shaft , with 2 x M5 in-line mounting holes at 20mm centres. .. Mounting Block in Delrin for 8mm Shaft , with 2 x M5 in-line mounting holes at 20mm centres. ..